Want to stand out from the crowd? This pipe-shaped vaporizer combines old school glamour with new technology. Buy the RT4200 Digital Classic Vape Pipe on sale for almost 70% off in the Daily Caller shop today. The pocket-sized pipe is easy to carry anywhere. The non-combustion chamber gives tobacco a pure taste. Isolation airflow technology allows for clearer vaping than a traditional pipe. Just attach the pipe to the included USB charger for 1 hour and enjoy 6-8 minutes of operating time. The cool memory feature allows you to adjust the temperature to any heat between 300ºF – 435ºF. Save $150 on the RT4200 Digital Classic Vape Pipe on sale right now. 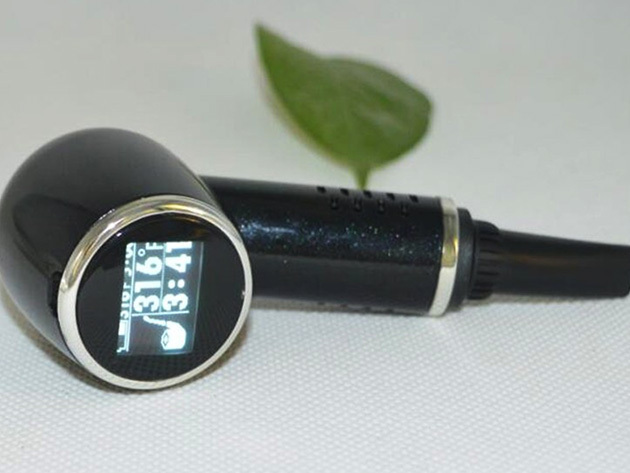 The RT4200 Digital Classic Vape Pipe also includes a battery, cleaning brush, dab tool, and two silicone rings so you won’t need to buy any extra accessories. As with other tobacco purchases, you must be 21 years or older to purchase. Class up your vaping with the RT4200 Digital Classic Vape Pipe. The gadget is on sale for 65% off at $79 in the Daily Caller shop today.